More deposits in lek and euro in the banking system. Albanians seem to have increased their savings last year and this is confirmed by the latest figures issued by the bank of Albania. Based on these figures, despite a drop in interest rates, people continue to deposit their money in the bank. At the end of December last year, customers deposited 570 billion lek as opposed to 561 billion in the previous year or 557 billion lek in December 2016. These growing figures suggest that people have deposited more money in banks. This is also reflected in the number of new deposits made in the domestic currency. But the same situation is also true about the European currency. Last year, bank deposits in euro also saw an increase. In a way, this goes to show the high supply of the European currency last year, something which was also reflected on the depreciation of this currency against the domestic value, despite the numerous efforts that were made through special measures or the so called “de-euroziation” of the country. In other words, these measures aimed at deterring the use of the euro in financial transactions to leave more room for the use of the domestic currency, lek. However, this hasn’t been the case, if we refer to the abovementioned figures which still show a high presence of the European currency in the Albanian market. In contrast to the domestic currency and the European currency, the US currency seems to be less present in the Albanian market. This is shown by the figures concerning bank deposits in USD as opposed to lek and euro. 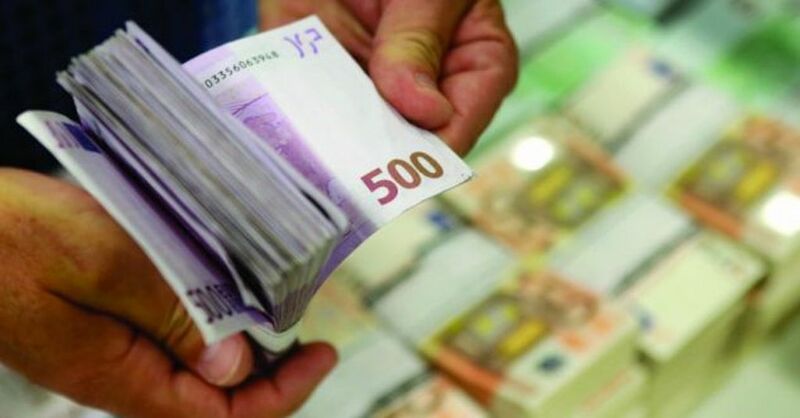 According to the data supplied by the Bank of Albania, the total value of deposits in the American currency at the end of December last year amounted to 552 million USD. This figure has seen a drop compared to the previous year, when the total amount of bank deposits was 596 million USD. Paradox: The average interest rate for savings in euro and USD last year was 0%. The average interest rate for deposits in lek was only 1%. Despite these interest rates which are not at all attractive, this has not deterred Albanians from leaving their money in the bank. At the end of 2018, the average interest rate for saving deposits in lek was 1%. This situation doesn’t seem to be much better with the European currency either. Last year, the average interest rate for saving accounts with a maturity period of up to 60 months, was 0%. The same thing can also be said for deposits in USD. In 2018, the average rate on these deposits was also zero percent.